MILAN (Reuters) – Italy will not ratify the European Union’s free trade agreement with Canada, its new agriculture minister said on Thursday, ratcheting up an international trade spat and potentially scuppering the EU’s biggest accord in years. The Comprehensive Economic and Trade Agreement (CETA) is the first major trade deal the European Union has signed since it began implementing its South Korea agreement in 2011. All 28 EU member states must approve the agreement for it to take full effect. In an interview with daily La Stampa, Minister Gian Marco Centinaio said the Italian government would ask the parliament not to ratify the treaty since it does not ensure sufficient protection for the country’s speciality foods. “We will not ratify the free-trade treaty with Canada because it protects only a small part of our PDO (Protected Designation of Origin) and PGI (Protected Geographical Indication) products,” Centinaio told the newspaper. The European Commission said it was working closely with EU members to ensure that the trade accord was mutually beneficial. Of the 28 European Union countries, Italy has the most food products with PDO and PGI labels, including Parmigiano Reggiano cheese and Prosciutto di Parma ham. Under CETA, Canada has recognized more than 40 Italian PDO and PGI labels out of a total of 292 for the food-obsessed country. Coldiretti, the influential association of Italian agricultural companies, backed Centinaio’s intention, saying in a statement CETA was “wrong and risky” for Italy. It said Italian food exports, equal to 41 billion euros last year, could triple with a serious fight against international food counterfeiting. The treaty entered into force on a provisional basis in September 2017, sweeping away tariffs on a large number of goods and widening access to Canadian beef in Europe and EU cheese and wine in Canada. Its supporters say it would increase trade between the partners by 20 percent and boost the EU economy by 12 billion euros ($14 billion) a year and Canada’s by C$12 billion ($9 billion). Some farm associations and critics in European states have expressed concerns about the threat of rapidly rising pork and beef imports from Canada. Coldiretti also mentioned risks posed by the annulment of duties on Canadian wheat, a country where the herbicide glyphosate can be used. 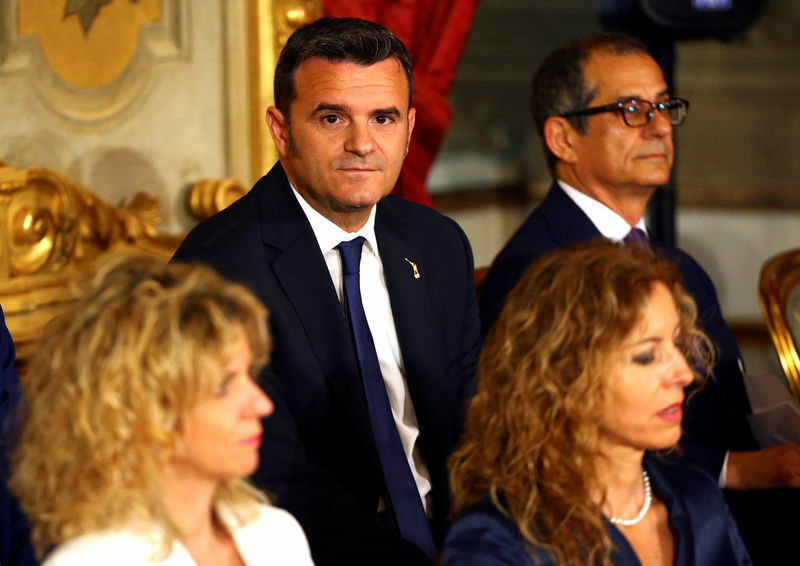 Centinaio belongs to the far-right League party and is considered close to its leader and Deputy Prime Minister Matteo Salvini. Salvini is emerging as the pivot in the new government that the League formed this month with the anti-establishment 5-Star Movement. The minister was not immediately available to comment on the interview and it was not possible to get a reaction from the office of the prime minister on the issue. The government program that forms the basis of the League-5-Star coalition mentioned CETA, saying the executive would oppose “the aspects (of the treaty) that imply an excessive weakening of the protection of citizens’ rights”. The government’s program also pledged to “protect the highest-quality products of Made in Italy”. Italy’s challenge to CETA comes after U.S. President Donald Trump backed out of a joint communique agreed by Group of Seven leaders in Canada at the weekend that mentioned the need for “free, fair and mutually beneficial” trade and the importance of fighting protectionism. The United States has imposed tariffs on steel and aluminum imports from Canada, Mexico and the European Union and is weighing up the possibility of slapping additional duties on automobile imports. Patience pays off big time !